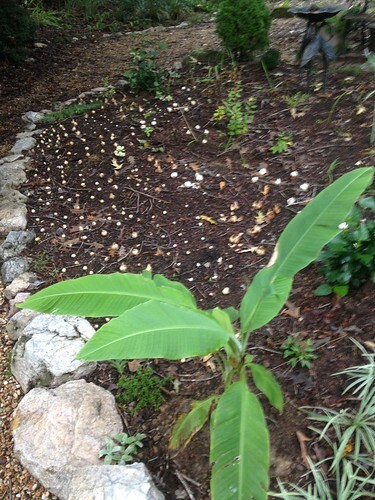 This planting is in the Tropical garden . Basjoo normally grows to a max height of 17.83 feet (that's 5.49 metres metric) so ensure you have enough space in your garden for this plant. Your garden is in don't know light: Banana plant 'Basjoo' likes a position of full sun. Your garden's USDA Hardiness Zone (7b) is within the ideal range for Banana plant 'Basjoo'. The recommended range is between Zone 5 and 11. More information about Banana Tree 'Basjoo' is available in the Folia gardener's wiki. 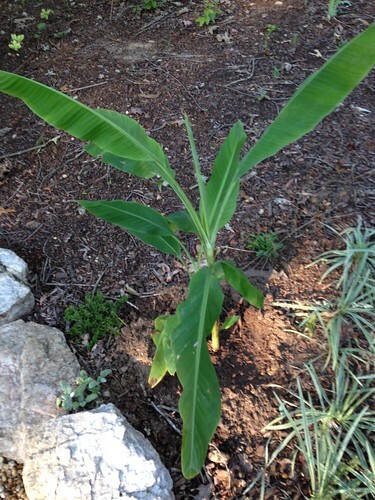 All Banana Tree 'Basjoo' Care Instructions have been kindly provided by our members.